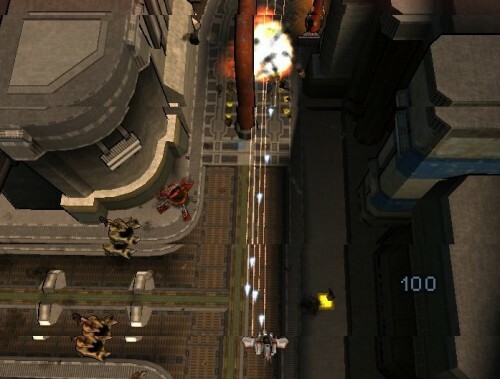 Steel Storm Episode 2 hits the Software Center, we go hands on with the top-down shooter - OMG! Ubuntu! Steel Storm Episode 2: Burning Retribution hit the Ubuntu Software Center For Purchase section today and I gave it a bit of a whirl. 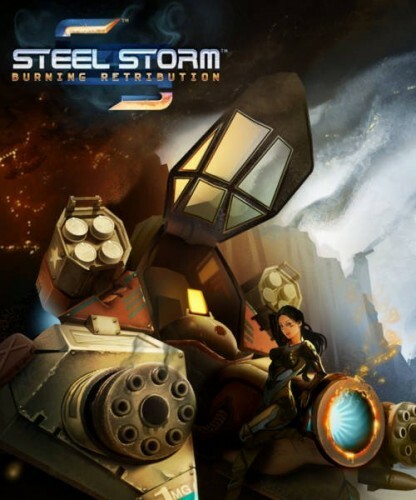 The original Steel Storm game released last year by indie developers Kot-in-Action had positive reviews, with a�distinguishable�style, fun and familiar gameplay and lovely artwork and textures that made for a pleasant experience. It’s worth noting that Steel Storm Burning Retribution also includes Episode 1. The new game now features�25 campaign missions, along with new DM and CTF missions, 2 mighty bosses, new weapons, new enemies, over 10 new interactive environments and lots of things to blow up and annihilate. Installation is a breeze and anyone who’s purchased apps or games from the Software Center in Ubuntu should have no qualms getting Steel Storm running on their system. All it requires is a click, your Ubuntu Single Sign On login, some billing details and then the 600mb download is started. Before you know it, the game will appear in the dash if you search for “Steel Storm,” or for those of you still kicking it old school with earlier versions of Ubuntu sans Unity, you’ll find Steel Storm listed under Games in your Applications menu. The main menu is pretty self explanatory, although the style of the menu is slightly confusing with pixelated user interface objects such as buttons and unclear text which can hinder the experience and make choosing options more of a chore than it should be. One of Steel Storm’s greatest assets is a plethora of options for configuring graphics, from resolution, optional shadows, lighting choices, fullscreen toggle and a very handy Intel Graphics option which presumably optimizes the game for less powerful chipsets. The graphics in Steel Storm are beautiful and refreshing, setting up a comfortable ambiance accompanied with soft lighting. The textures are high resolution and the artwork style sort of reminds me of older versions of Grand Theft Auto on the PC or the new mobile Grand Theft Auto games on iOS for those of you with an iPad or iPod Touch. The default top-down camera view emphasizes your surrounding area well, and does a good job of hiding what’s ahead which further enhances the gameplay, leaving you to run along ahead “blind.” It’s a bit of a cross between Duke Nukem and Space Invaders but with much cleaner textures, anti-aliasing (even if it doesn’t have AA, it sure looks like it does), lovely effects and of course it’s 3D rather than 2D. On my Ubuntu install I don’t actually run hardware accelerated drivers – I’ve got an ATI HD2600 but opt for the default radeon drivers which give me full 2D support and limited 3D support coupled with a bit more reliability than the proprietary closed source�fglrx drivers from ATI/AMD (the open source ones that come with Ubuntu by default also have better dual monitor support in my experience). Anyway, this isn’t about drivers – rather, I was pleasantly surprised that even with numerous options cranked up near high I still got a comfortable 20 FPS when most other games (even simple ones) struggle – and with options and resolution turned down, 60 FPS wasn’t difficult to attain at all. 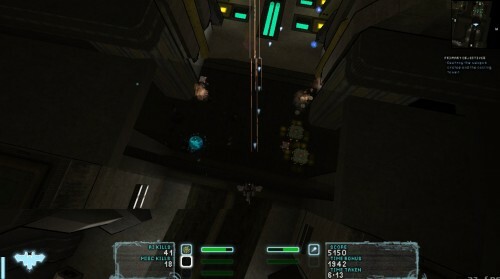 The gameplay is standard for the genre, which one could argue Steel Storm has innovated in. As outlined in the description, the game isn’t meant to thrust you into an in-depth story that grips the player emotionally from the very outset. It’s designed as a quick, fast paced action shooter for those wanting to briefly get their game on or with a touch of time on their hands and for this, it’s perfect. In saying that, there is a single player campaign which sees the player completing various missions with all sorts of objectives. 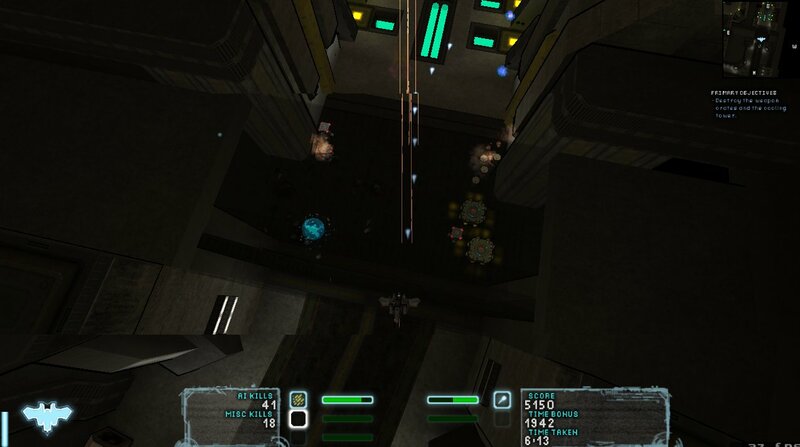 I didn’t play it through till the end, but as you progress, the missions get more difficult, not only with more powerful enemies but also complicated maps with dependencies such as buttons that need to be activated for doors to open and the like, adding to the complexity of the game. There’s also a pickup system that rewards you upgrades such as new weapons and health packs – and these can be found all over the map in plain sight or inside�destructible�barrels. 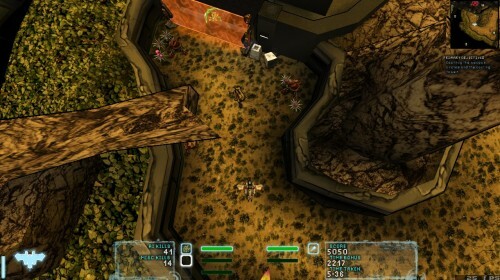 Steel Storm Episode 2 is an awesome game with enough features and options to keep you occupied for a fair amount of time. I didn’t test out the multiplayer, but I’m expecting it should be fun if it’s anything like single player. At times the game can be challenging, so a bit of skill and a fast hand is required but this further adds to the value of the game as a whole. I’d say it’s worth the asking price of just under $10 USD, and by buying it, you’re not only getting a fun game but also showing support for gaming on Linux which is certainly one area where Linux (and�inherently�Ubuntu) lacks compared to other platforms.